Expected to ship on or about 05/22/19. 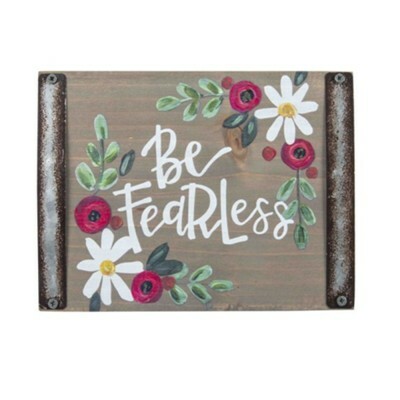 Gray inspirational wood block sign featuring colorful artwork and metal accents. 7" x 5.5" x .75"
I'm the author/artist and I want to review Be Fearless Block Sign.